What a place. Never been as happy when going from long to short hair as I have this time. Bryan actually listens to what you want, and asks the right questions. Finally I found my regular barber. I now have one less decision in my life - where to go to get a great haircut at a decent price. My kiddo had a great experience here, getting a pixie hair cut. The cut was fun, professional quality and kiddo had a fun and relaxing time. The hairdresser's name was Cattie (please pardon the spelling). They were attentive, knowledgeable, and fun. My kiddo felt very comfortable. Just got done getting my haircut here by Erika. I'm new to long beach and have been looking for a comfortable place with quality haircuts. This place nailed it. Beer to start, Erika was super friendly, and the haircut was exactly what I wanted. Very happy this place opened up here! 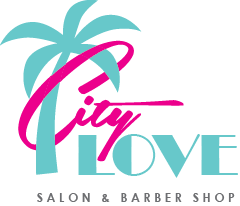 City Love offers a wide range of salon services. Our stylists provide balayage and foil highlights, natural results or bold, you choose! Does your grey hair needing full coverage or just blending? We have permanent and semi-permanent options from 3 major brands. We use Pure Brazilian brand for our smoothing Brazilian blowout treatments and do tape in and all beaded hair extensions. first timers get 20% 0ff! At City Love, our barbers are held to the highest extent of their craft. We have full and multi-licensed barbers that are able to fade, cut, and shave any kind of hair. We pride ourselves on being able to work with all hair types so that anyone coming into City Love can get a high-quality shave or haircut promptly. We also enjoy offering veteran, active military, senior and student discounts.